On Puntland President Saciid Abdullahi Deni’s inauguration day, January 26, 2019, most of the Somali politicians there and many other people expected the event would accomplish its inaugural purpose but also unite Somali politicians, since both opposition parties and the president of the federal government attended the ceremony. The president cannot ask the Somalia people to forgive him. 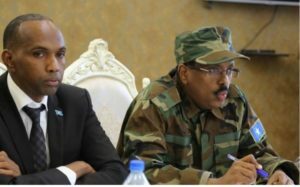 He cannot claim he will turn over a new leaf on one hand and on the other allow Prime Minister Kheiyre to continue with his “my way or the highway” attitude, turning a blind eye to his poor performance.